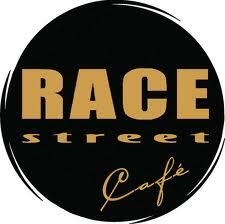 Add Old City's Race Street Cafe (208 Race St., 215-627-6181) to the list of gluten-free sandwich options in Philadelphia. The restaurant's new gluten-free menu also includes several appetizers, salads and entrees. The Marketplace Cafe restaurants at Nordstrom's King of Prussia Mall and Cherry Hill Mall locations offer gluten-free pasta in two dishes: Chicken Pasta Rossa and Chicken & Artichoke Pasta. The Southern-influenced Rex 1516 (1516 South St., 267-319-1366) has updated its gluten-free menu for the spring season (the excellent burger remains available) and there's a new dessert that is a favorite of general manager Heather Rodkey - the mint julep, comprised of a mint chocolate pot de creme, pecan macaron and whiskey cream frosting. Newtown Bagel Company (31 Swamp Rd., 215-497-0220) and Mullica Hill's blueplate (47 S. Main St., 856-478-2112) are carrying Sweet Note Bakery's gluten-free bagels. Newtown Bagel has a dedicated gluten-free toaster. Rittenhouse Square Mexican El Rey (2013 Chestnut St., 215-563-3330) has an refreshed its gluten-free menu (the $10 lunch special is a bargain) and the Landmark Americana chain - with spots in University City, City Line, Wayne, West Chester and Glassboro - has added roast beef sandwiches to its gluten-free menu. 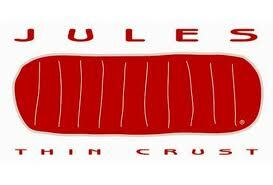 Jules Thin Crust's newest area location will open in Ardmore (149 W. Lancaster Ave., 610-896-6100) on April 15. Reader Kristen L. emailed me to let me know that Betsy's Bakery in Camp Hill (near Harrisburg) can ship gift baskets nationwide. All baked goods are gluten free and vegan. You have until Sunday night to enter another goodies giveaway; five winners will get to try both varieties of Pepperidge Farm's new gluten-free Baked Naturals tortilla chips. 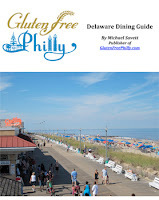 My updated Delaware gluten-free dining e-guide is available for purchase. Featured in the Wilmington News Journal and Delaware Today's 302Health blog, the guide includes hyperlinked listings for restaurants, bakeries, markets and attractions throughout the First State, including Wilmington, Newark and resort towns like Rehoboth Beach and Dewey Beach. Updated editions published within 30 days of initial purchase will be emailed to purchasers free of charge.